This project included the construction of a Cement-Bentonite (CB) self-hardening slurry wall to rehabilitate an existing ash containment embankment and reduce seepage. 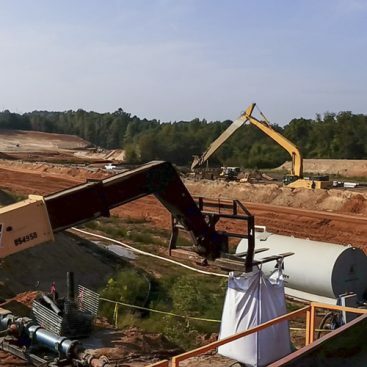 The project originally included degrading and rebuilding the earthen embankment requiring cut and fill of over 56,000 cubic yards of material. 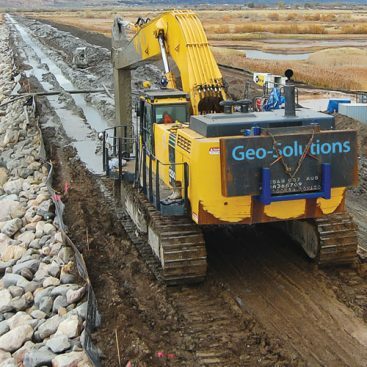 Geo-Solutions presented a value engineering proposal to install a self-hardening barrier wall in lieu of reconstruction of the embankment resulting in a cost savings of over a million dollars. Geo-Solutions installed a 53,000 vertical square foot (vsf) CB wall along ash pond embankment from the crest of the embankment. 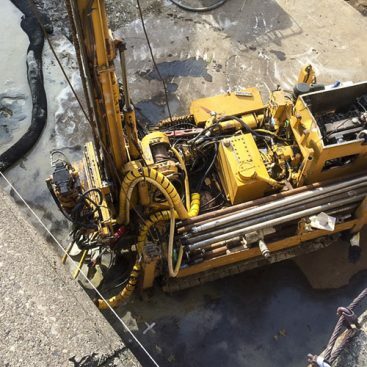 Slurry wall excavated to up to 48 feet below ground surface. CB Wall installation was performed with a CAT 375 L fitted with Geo-Solutions’ custom boom and stick fabricated for slurry trenching. Geo-Solutions installed the cement-bentonite slurry wall through the compacted, granular overburden material used to construct the embankment. 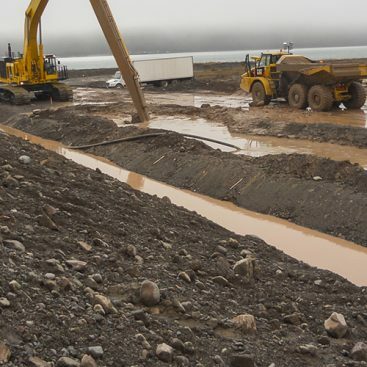 The purpose of the wall was to create an impermeable barrier through the porous overburden material of the dam, reduce potential seepage to surrounding properties and improve the stability of the embankment. For the work Geo-Solutions provided our continuous CB mixing plant and supporting equipment to provide consistent, high production CB slurry batching for the wall. The cement-bentonite slurry wall exceeded the expectations of the 28-day strength (unconfined compressive strength) of 50 PSI and met the permeability requirements of 1 x 10-6 cm/sec. The project was completed with zero incidents, on time and within budget.